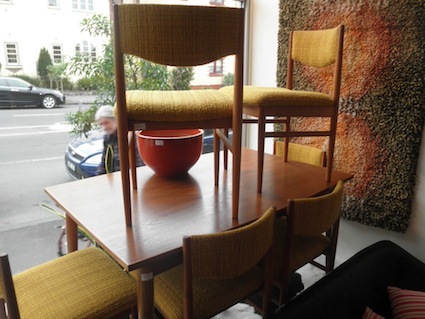 Great set of six Parker dining chairs in original yellow boucle wool with fantastic teak frames. 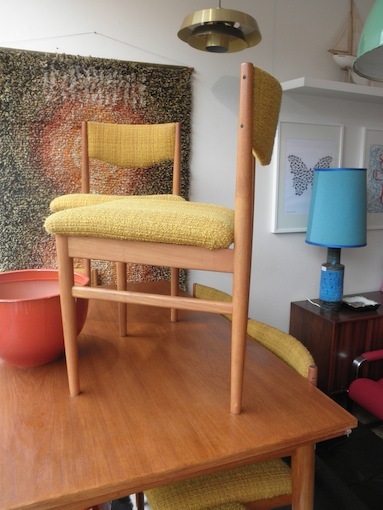 Parker were a quality furniture maker producing great Danish inspired modern designs and are prized for their quality workmanship. The frames of this set are close to perfect condition. 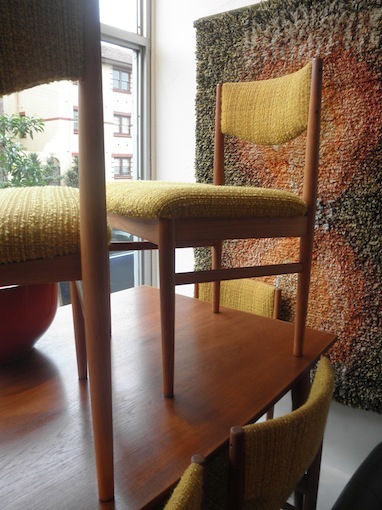 These chairs are a great usable set but we can arrange for them to be professionally reupholstered in your choice of fabric or vinyl for around $40 each extra. As is $100 each sold as a set of six.